Solo Story Trailer Gives Us New Hope | Nerd Much? 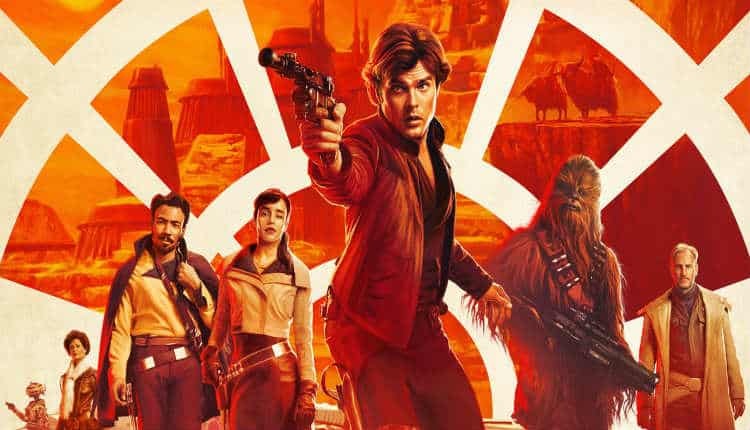 With just over six weeks until it hits theaters, we finally have our most in-depth look at Solo: A Star Wars Story yet. And it looks like Disney saved the best for last. The more I see of Alden Ehrenreich’s take on Han Solo, the less wary I become. I’m not all-in yet, of course. That will be determined on May 25th. But Ehrenriech seems to be doing a good job of nailing the subtle nuances are crucial to the portrayal of a younger Han. Speaking of subtle nuances, Donald Glover just feels like a reincarnation of Lando Calrissian. This isn’t a new actor taking on the role, he is the role. His posture, the sly, arrogant smile. The recasting of Lando appears as though it couldn’t have gone better. Glover’s take on Lando is one of the things I’m personally most excited to look forward to in next month’s prequel. We still known little on Woody Harrelson’s Tobias Beckett and Emilia Clarke’s Qi’ra. Qi’ra talks to Han as though she has known him for years and they’re reconnecting after some time apart. “You look good. Little rough around the edges, but good” she says with a smile. Beckett is recruiting a team for a big job. One in which he promises will lead to a criminal lifestyle that can’t ever be undone. Han tells Beckett “I’m a driver, and I’m a flyer.” But first they need a ship. Luckily for them, Qi’ra knows “the best smuggler around.” But she isn’t talking about Han, she’s referencing Lando. We then get a glimpse of what is likely the first meeting of Solo and Calrissian. One that appears to take place over a game of cards. A game of cards that could have history changing stakes if a certain ship becomes involved in the wagering. The trailer is, of course, interspersed with gun battles and vehicle escape sequences. We even appear to be catching the moment in which Beckett tosses Solo his blaster that we’ve seen in all of future Star Wars movies. There’s a lot packed in here and it goes by in a hurry. All in all, it’s a solid trailer. But more importantly, it’s pulled me toward the other side of the fence and has me actually excited to see this Star Wars Story. We don’t have much longer to wait. Solo: A Star Wars Story hits theaters on May 25th.